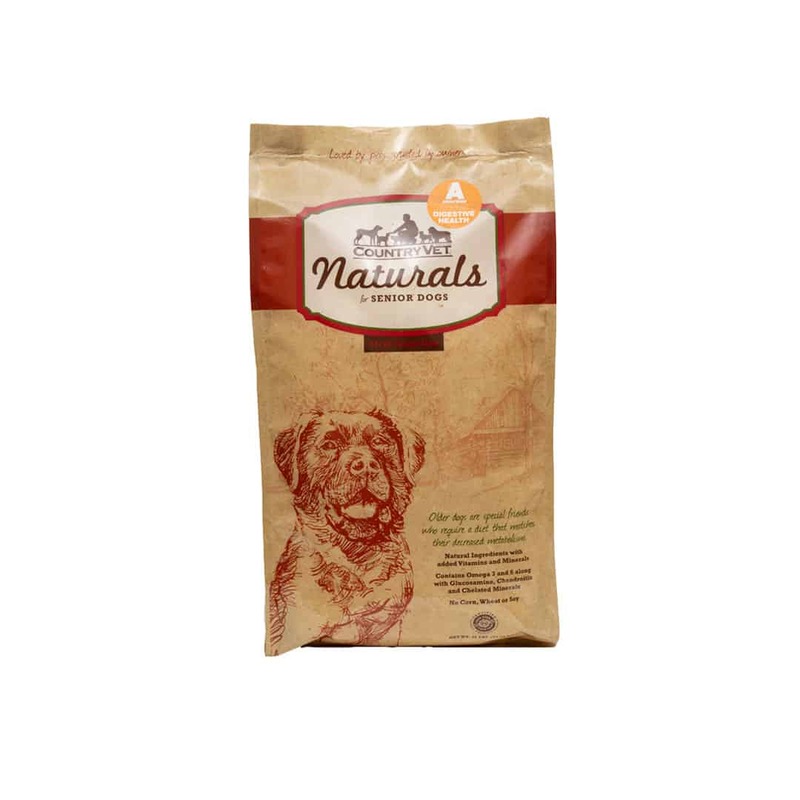 It’s time to think about your pet’s food. 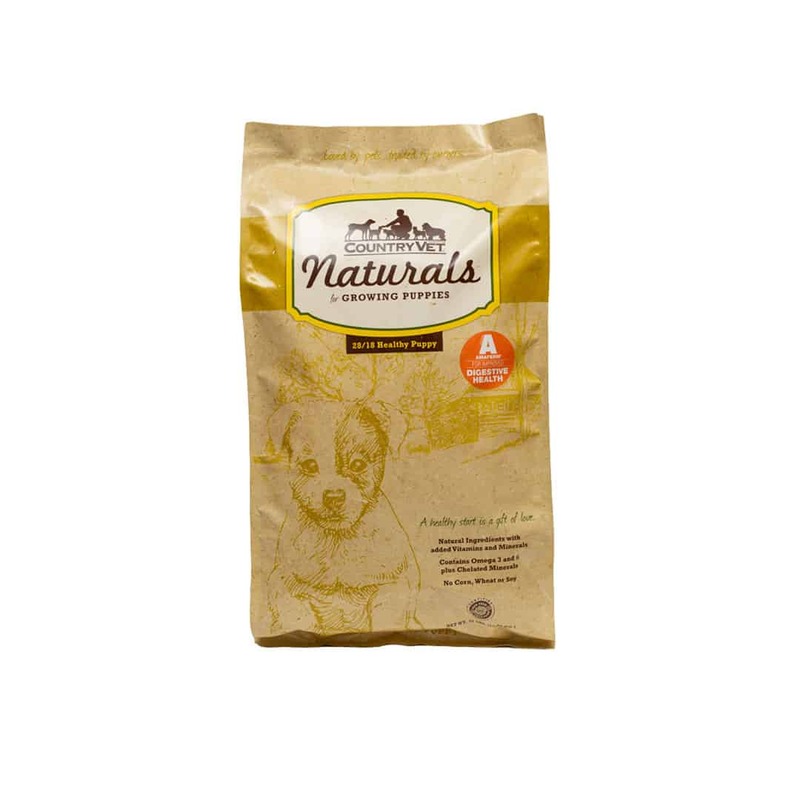 Seriously, it’s time to wonder about ingredients and the nutrition they provide for your dog or cat. 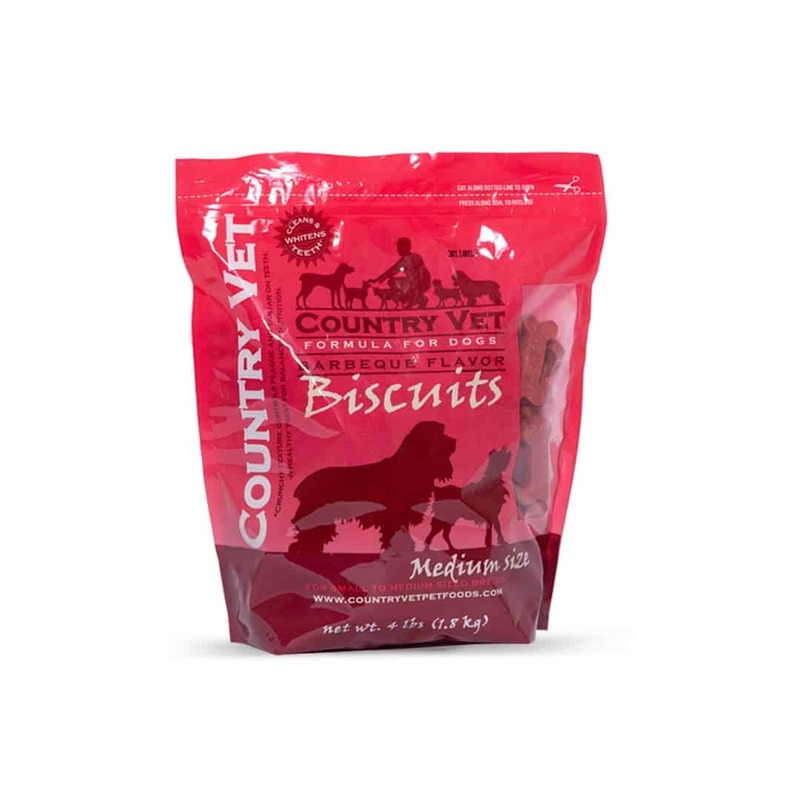 Because if your pet food brand is more focused on sneaky marketing tactics or only cares about profits, it’s time to choose Country Vet. 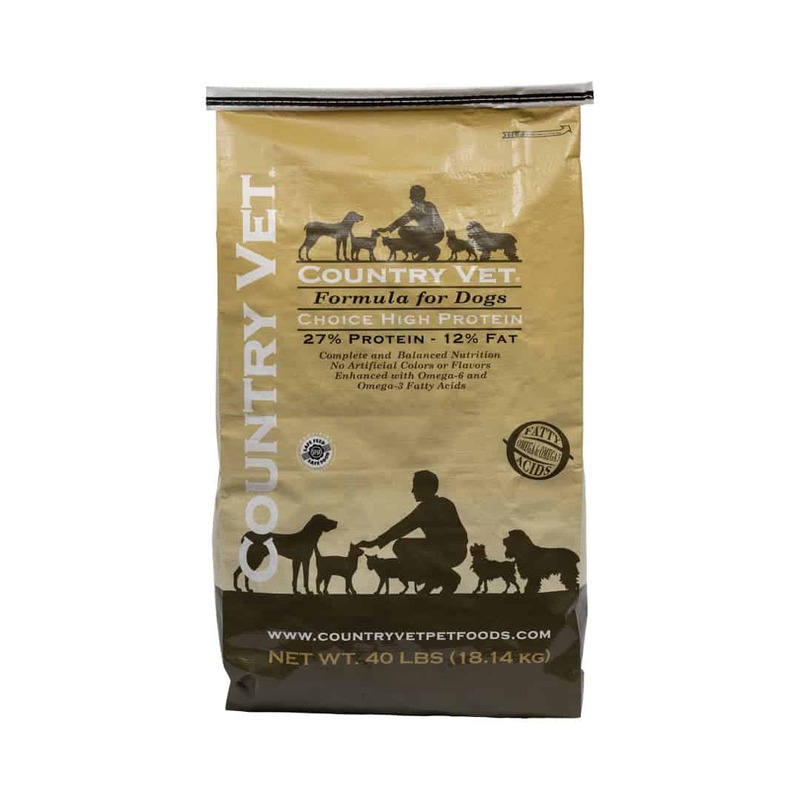 We care about our products not just because it’s what we do, but it’s what we feed our pets. 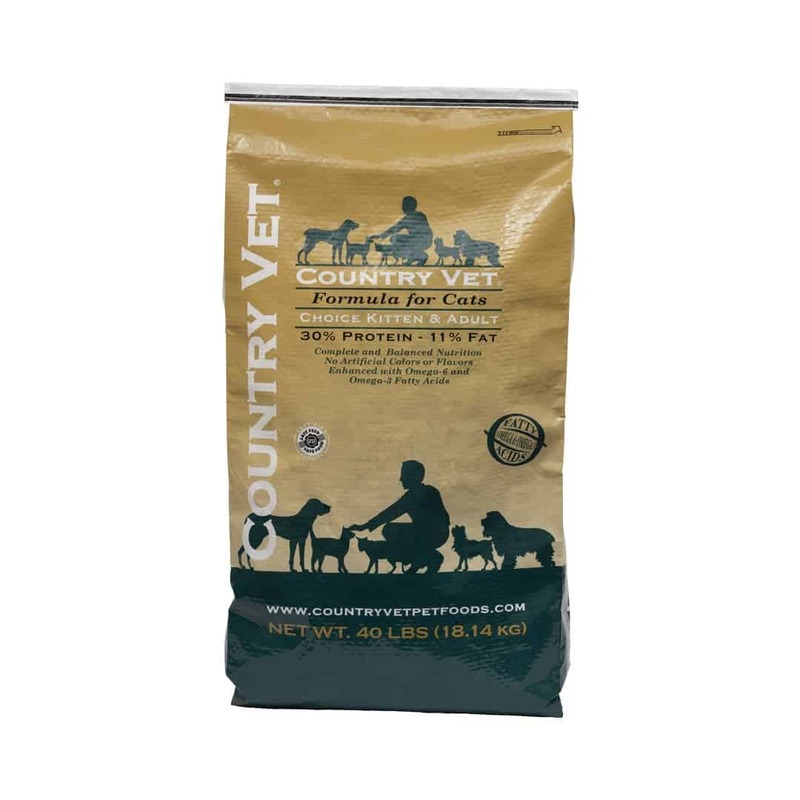 Country Vet® Naturals for Healthy Adult Dogs keeps your best friend healthy for years to come. 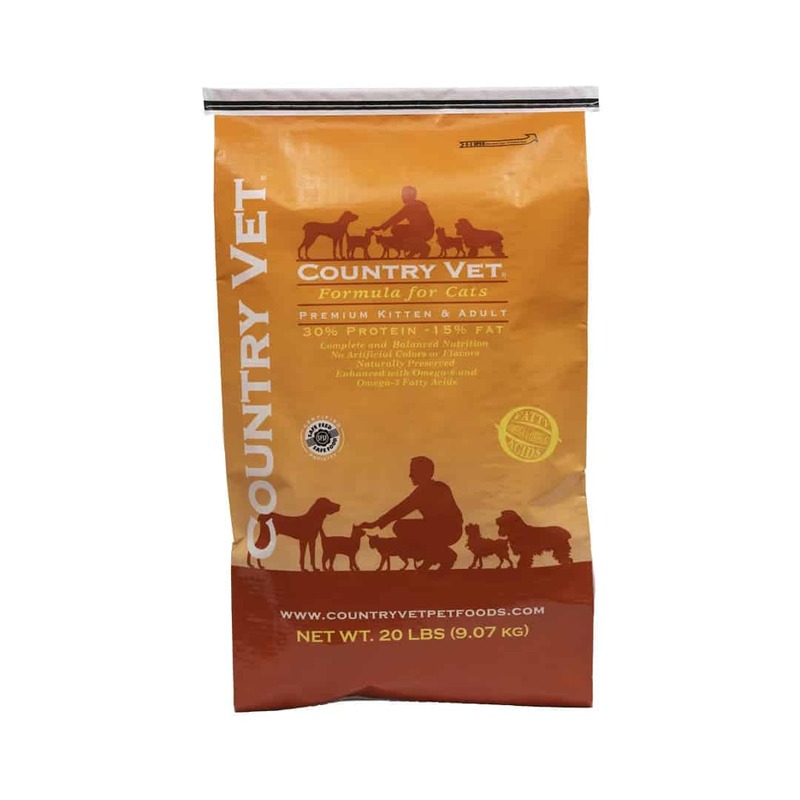 Country Vet® Naturals for High Performance Dogs is a perfect fuel for your canine athlete. 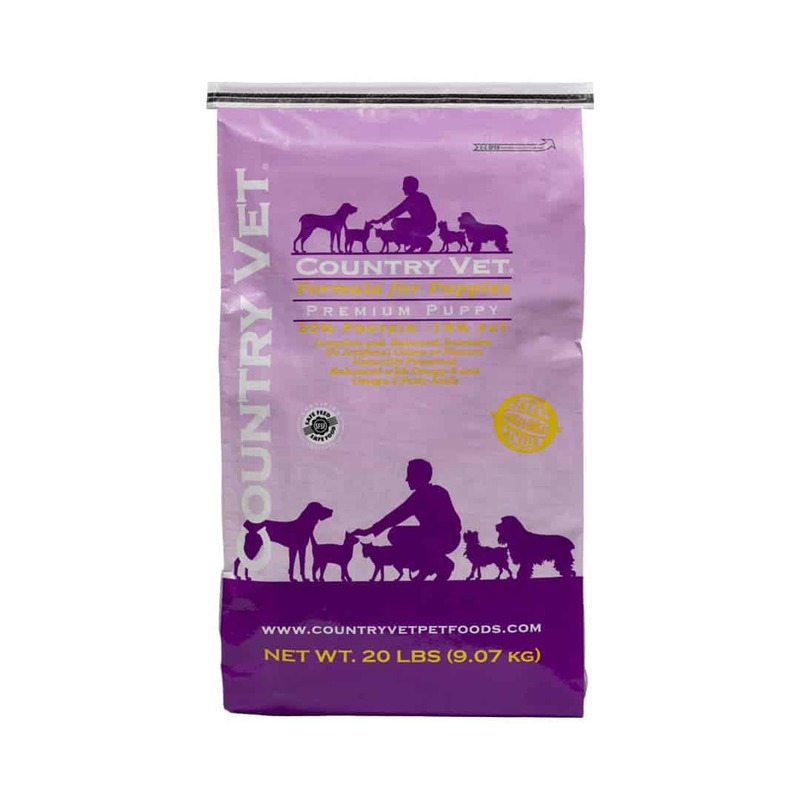 Country Vet® Naturals for Senior Dogs has the perfect balance of protein and fat to provide exceptional care for aging dogs. 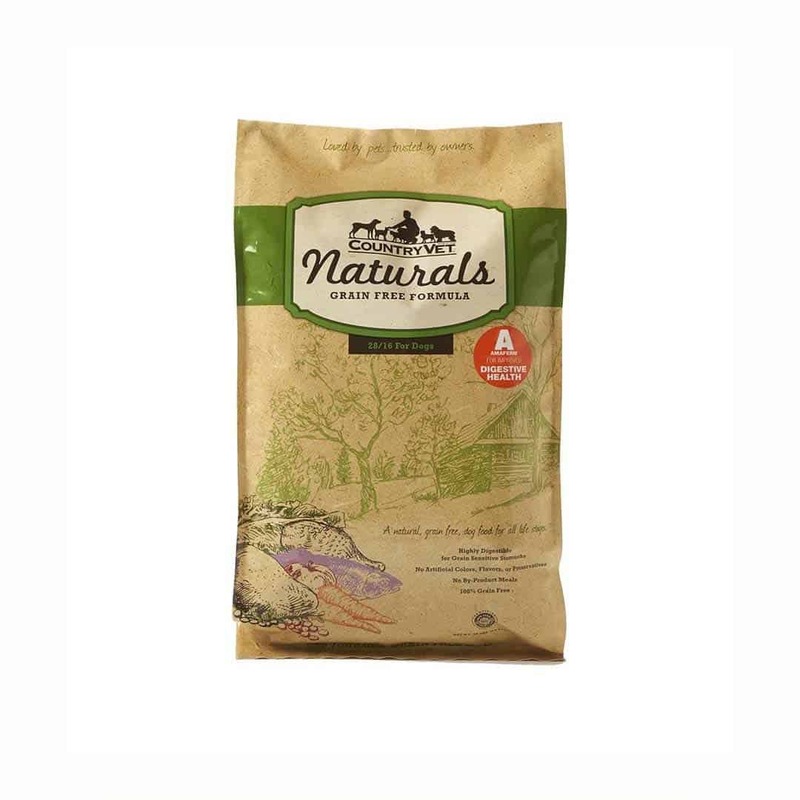 Country Vet® Naturals Grain Free for Dogs is all natural food that’s great for all dogs (especially those with sensitive stomachs) with nothing artificial and no by-product meals. 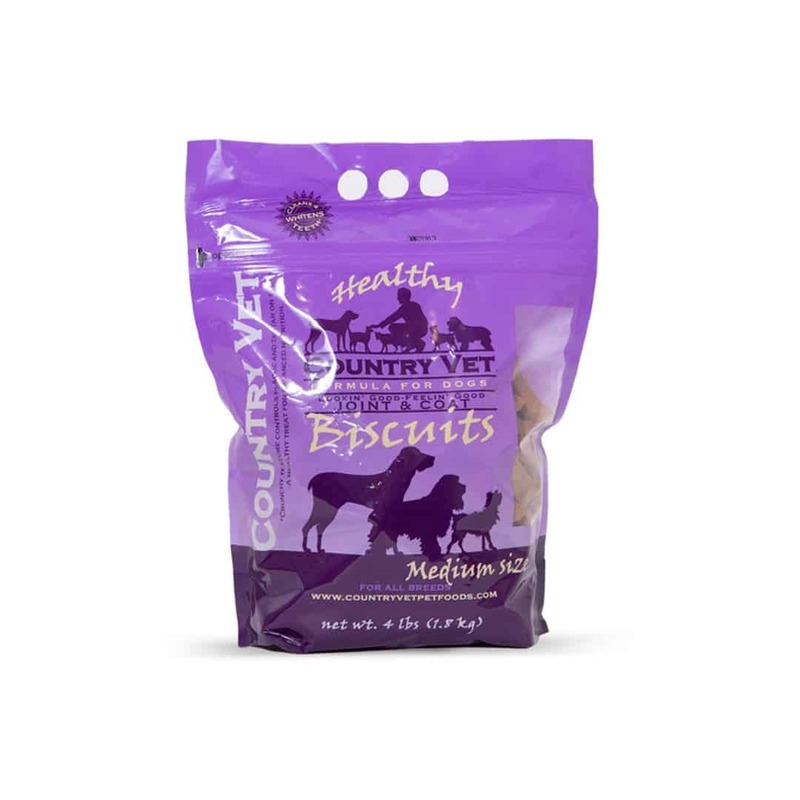 Country Vet® Naturals for Growing Puppies promises every bite helps your puppy develop healthy muscles and joints. 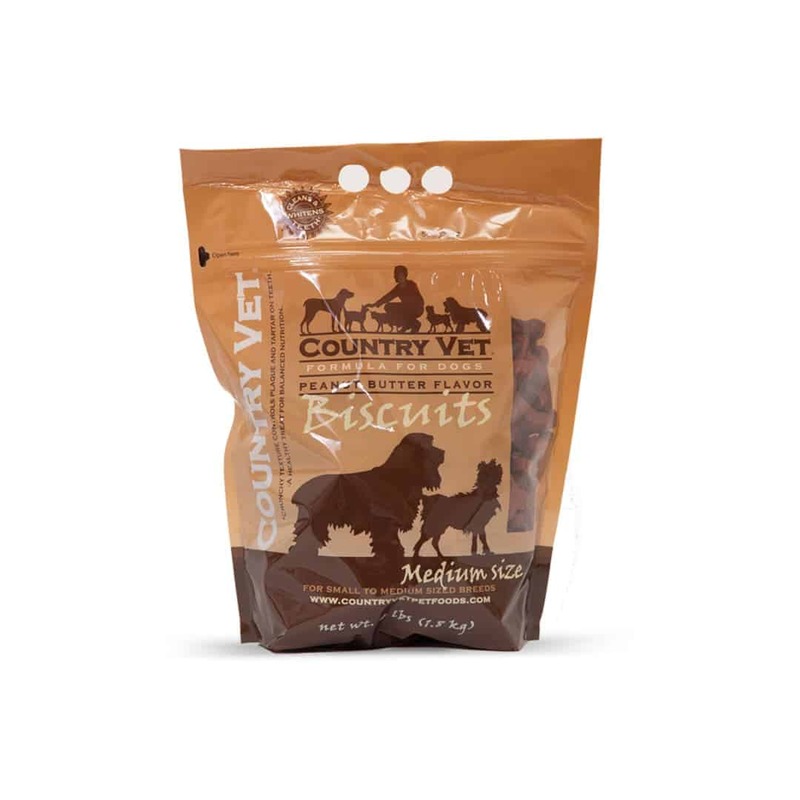 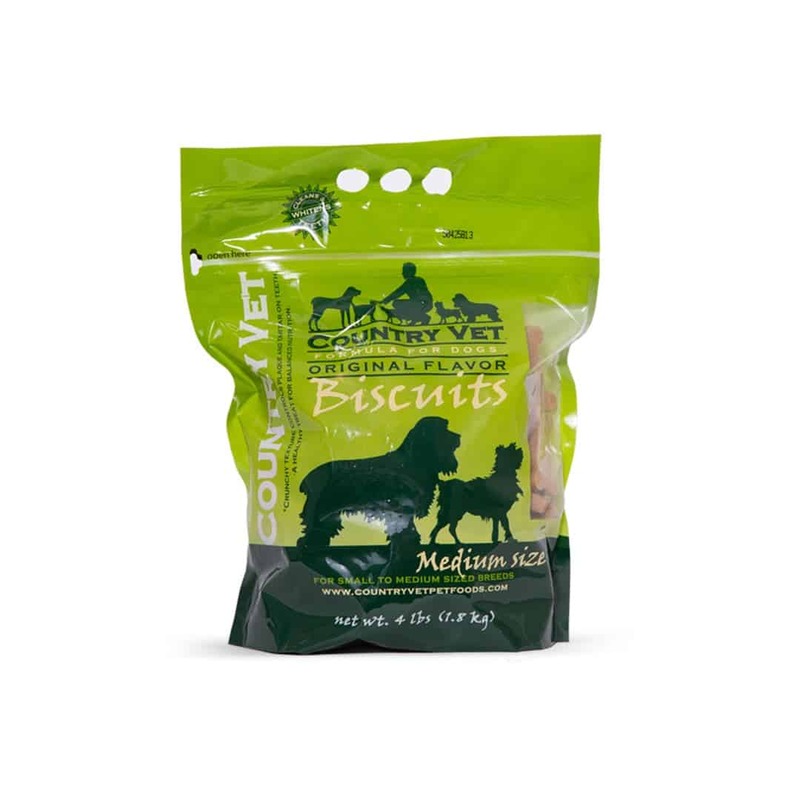 Country Vet® Naturals Grain Free Quick Bite Cookies are a perfect treat for any dog, including those with sensitive stomachs. 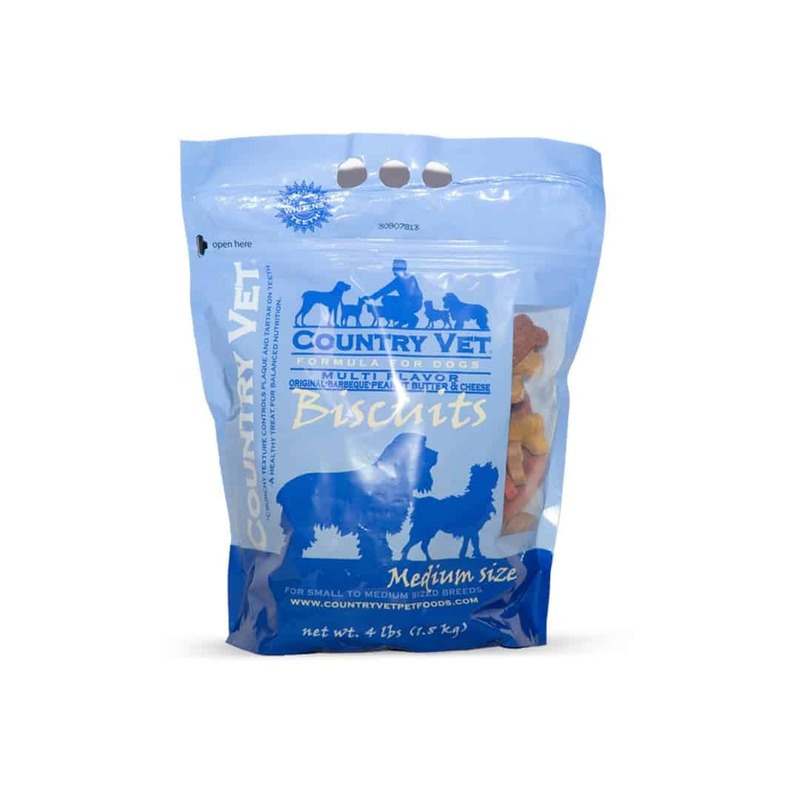 Country Vet® Naturals Quick Bite Cookies are the reward that treats both your dog and his health. 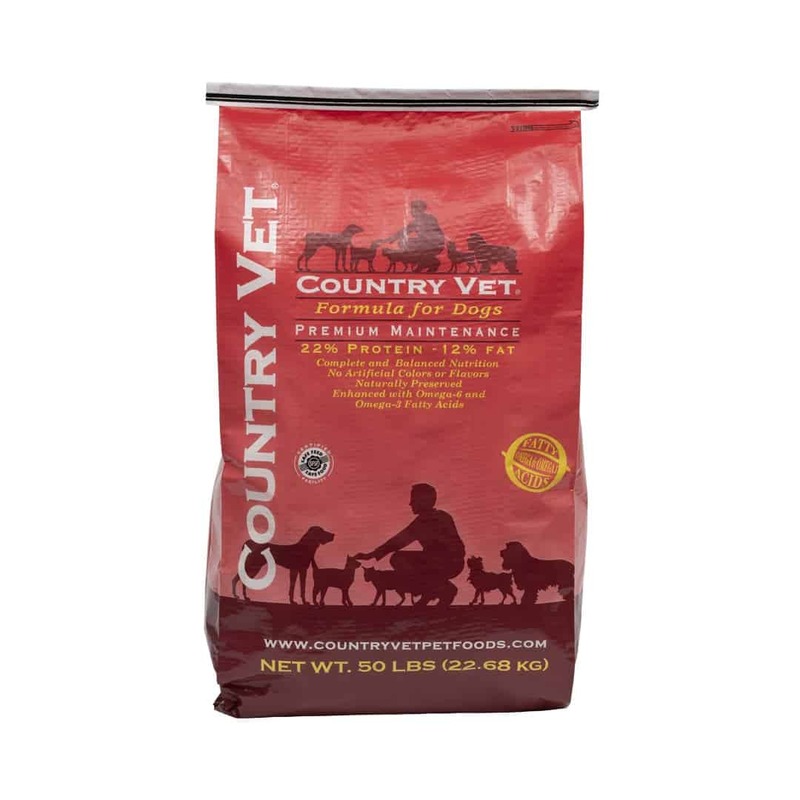 Country Vet® Naturals Grain Free for Cats offers a highly-digestible formula that’s big on protein but free of grain. 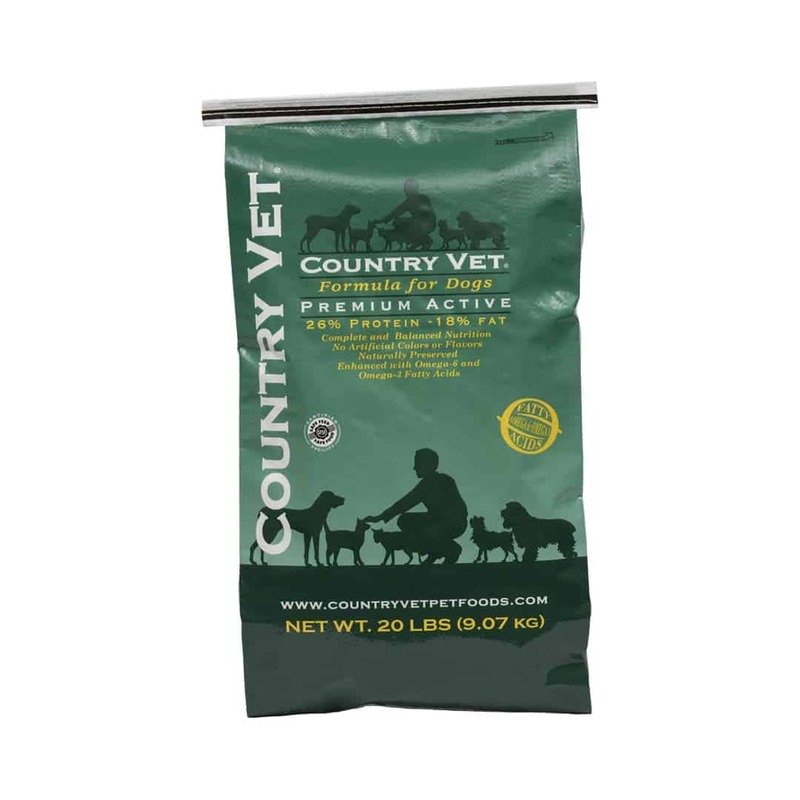 Premium Active Formula gives those active, hardworking dogs the fuel they need to perform at the top of their game. 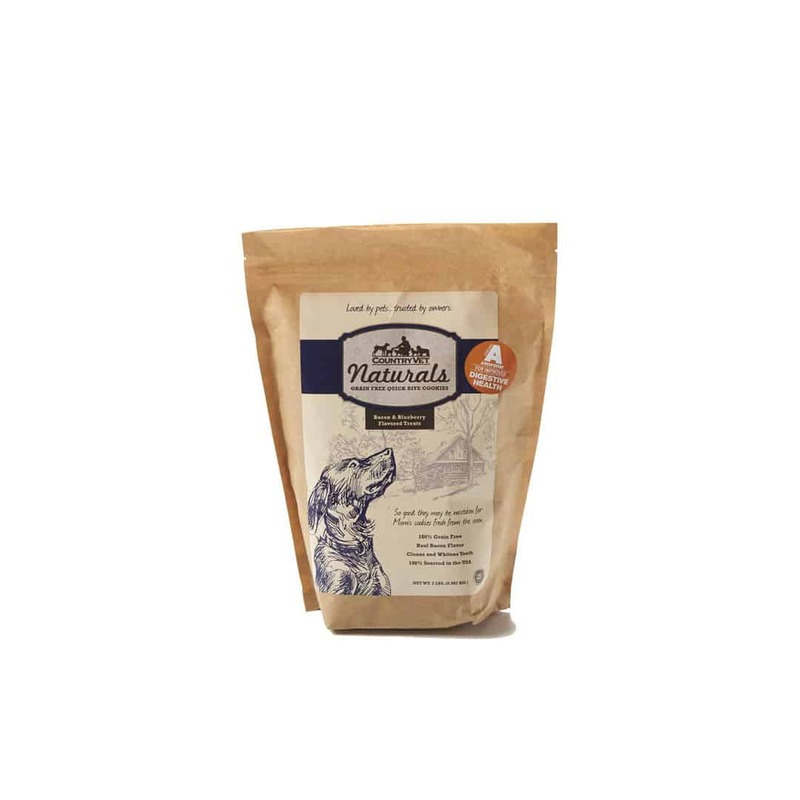 Premium Maintenance keeps your active, adult dog on the right track in the off season to maintain a healthy life. 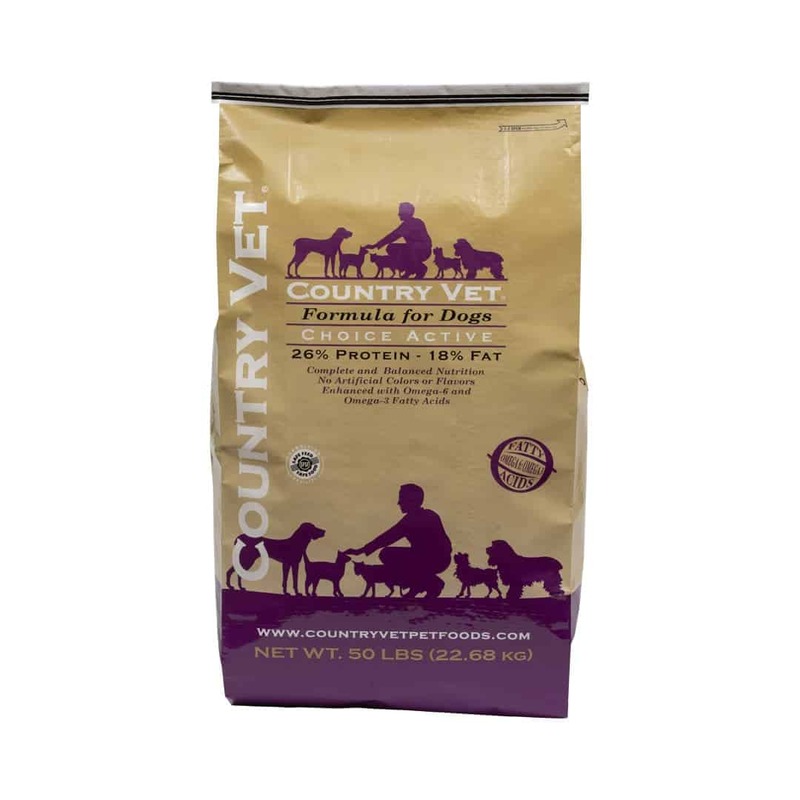 Premium Puppy is essential as it provides the vital nutrients critical for growing puppies. 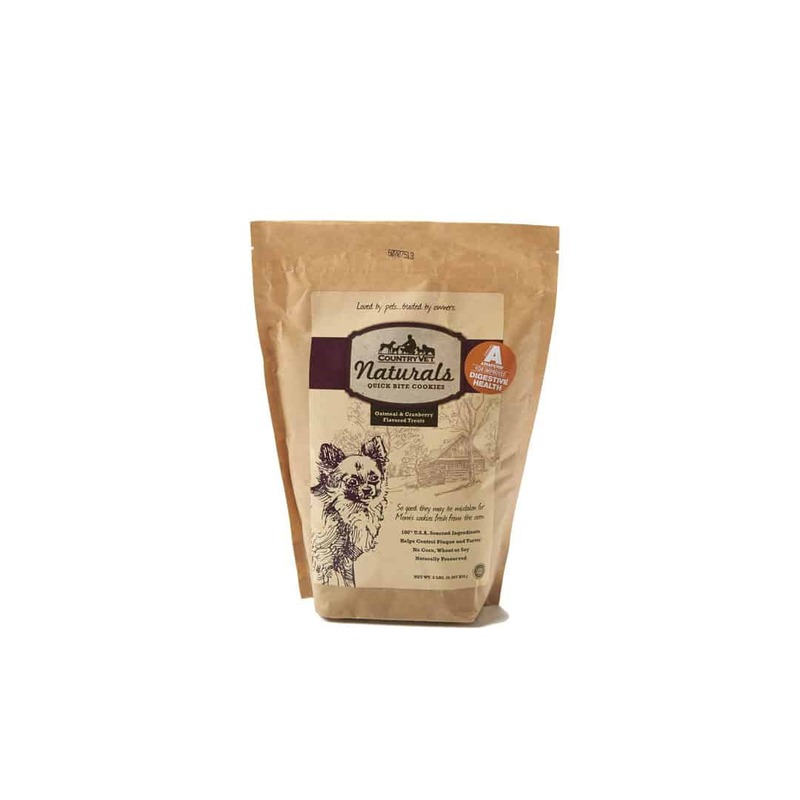 Cat & Kitten Premium is a balanced choice, high in Omega-6 and Omega 3 fatty acids for both kittens and cats. 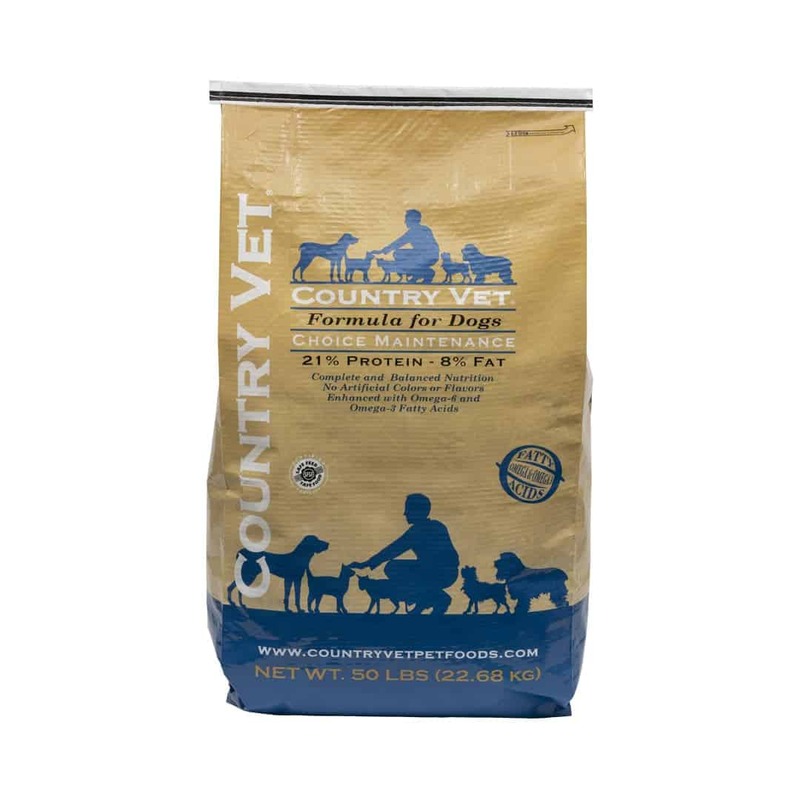 Choice Active Formula has the ideal amount of fat and protein to meet the demands of a hard-working canine. 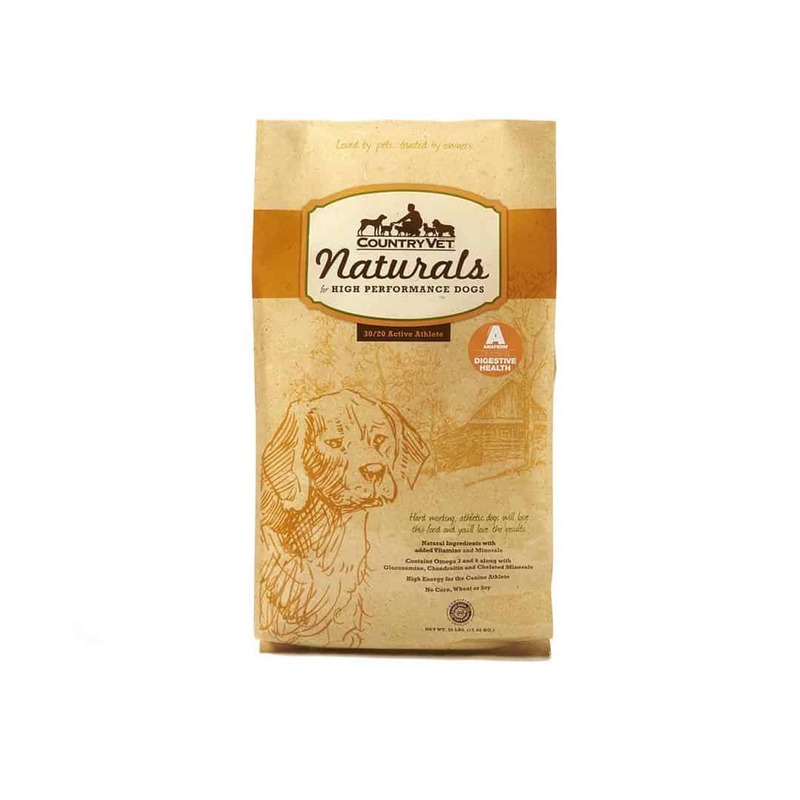 Choice Hi Protein Formula gives mature and large breeds the nutrition they need to recover, without gaining weight. 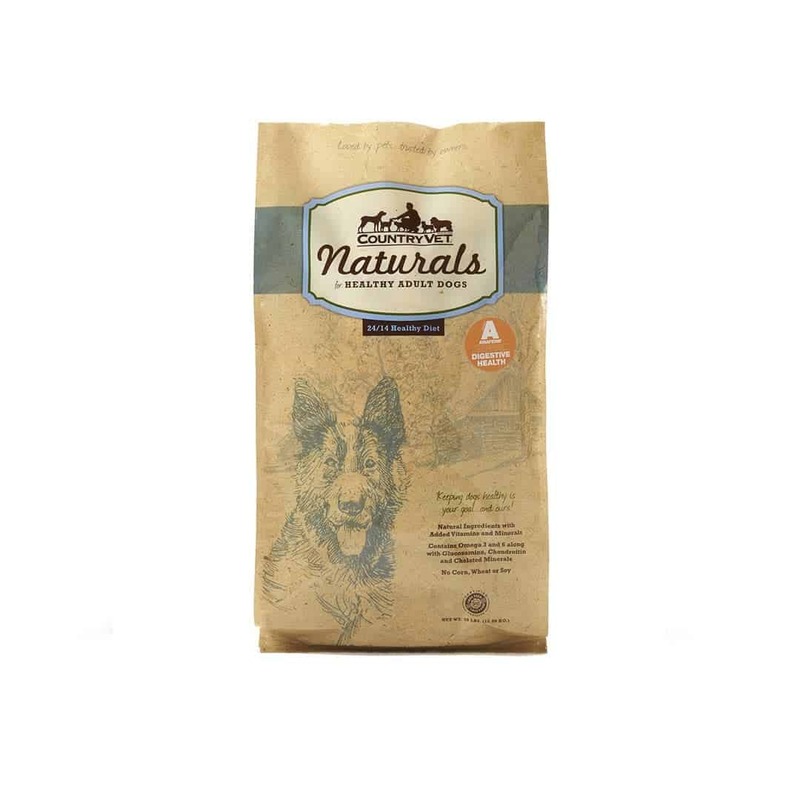 Choice Maintenance is the all-around favorite for an average dog that needs to maintain his or her health. 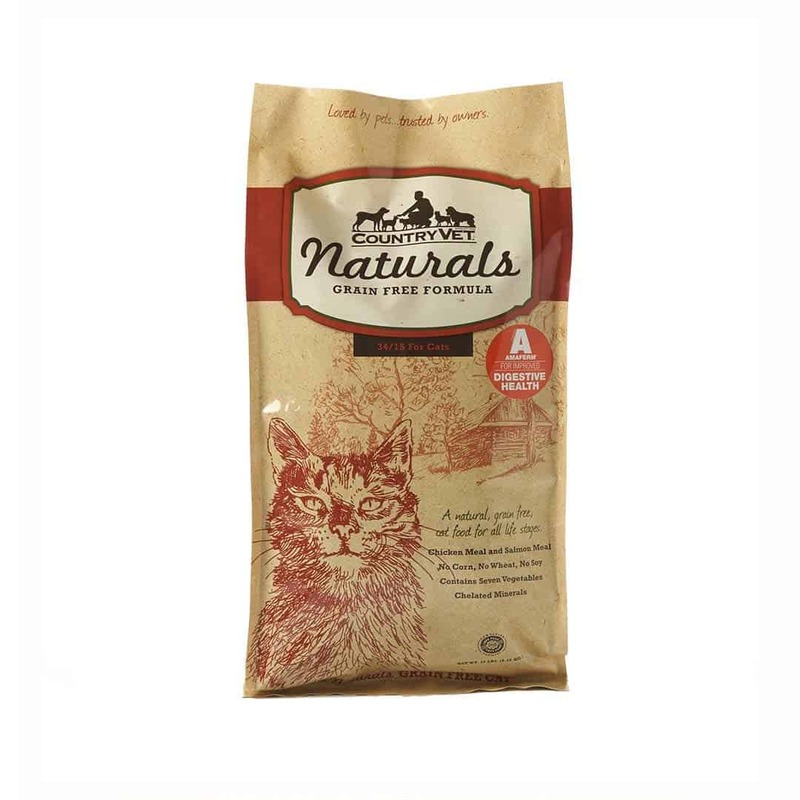 Our Kitten and Adult Choice Formula meets the demands of cat lovers with a high protein soy free product. 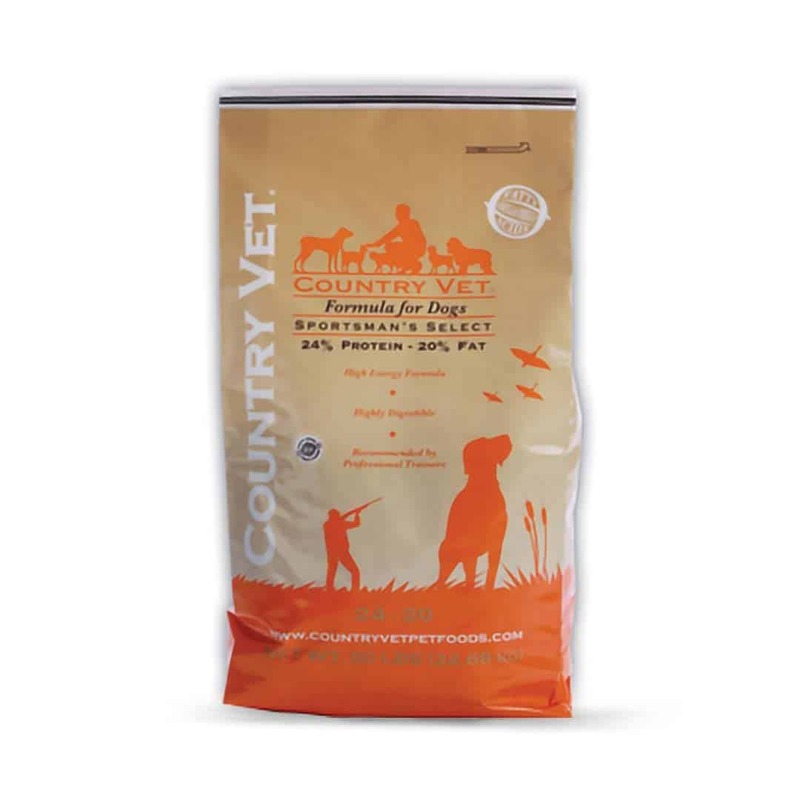 Sportsman’s Select is perfect for the performing athlete and is recommended by professional and amateur sportsmen and women.